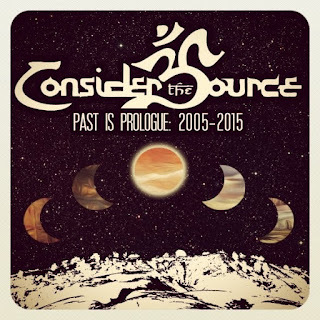 NYC Prog Trio Consider The Source Releases FREE Album, Announces Extensive Spring Tour! New York – NYC Prog trio Consider The Source has just returned from 2 weeks of performances in India with a special gift for their fans. The band is celebrating their 10th anniversary with a free compilation demonstrating their unique “sci-fi Middle Eatern Fusion” sound. The collection, titled “Past Is Prologue: 2005-2015”, consists of tracks from every studio album they have ever released including multiple cuts from their recent “World War Trio” series and showcases their Eastern informed blend of progressive metal riffs, cinematic orchestrations, ripping odd-time improvisations and worldly acoustic grooves. See the track list below and visit this link to download your copy. They launch an extensive US tour this weekend beginning in Albany, NY. alternately leads and follows, spars and assists; in any single song, alliances are made and broken, bargains struck and divorces finalized. Touring from coast to coast, as well as Europe and the Middle East, has not only earned the band thousands of fans, but has allowed them to perform with a wide variety of well-known artists, including Victor Wooten, Wayne Krantz, King Crimson Projekt, Kris Myers (Umphrey’s McGee), Wyclef Jean, Andy Statman, Matt Darriau (Paradox Trio), Oteil Burbridge, Jacob Fred Jazz Odyssey, Dumpstaphunk, Keller Williams, George Porter Jr., Jeff Sipe, Panzerballet (Germany), Eatliz (Israel), Freak Kitchen (Sweden), Morglbl (France) and many others. They have performed at numerous festivals and events including Gathering of the Vibes (Connecticut), Peach Fest (Pennsylvania), Summercamp (Illinois), Catskill Chill (New York), Aura Music & Arts Festival (Florida), Jazz Fest (New Orleans), Burning Man (Nevada), Head For The Hills Festival & SXSW (Texas), Rootwire (Ohio) and the The WerkOut (Ohio), to name a handful. San Francisco - Jennifer Saran is a North American alt-pop/adult contemporary artist, songwriter and vocalist based in Hong Kong. The first single from her upcoming album Walk With Me is “Rise Up Time,” available digitally worldwide with its release on February 5th, 2016. Her new album was created with the legendary producer Narada Michael Walden, and is being released through his label Tarpan Records. 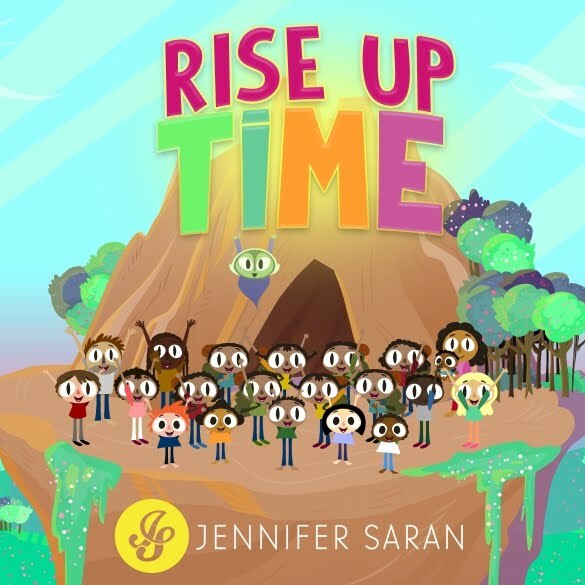 In tandem with the single’s release there is an original animated music video for Rise Up Time, which will be seen on both online and broadcast outlets. This video features original animation created by Jojo Ramos (Warner Brothers Animator) in Los Angeles, CA. The video's concept was conceived by Jennifer Saran and brought to life in this wonderful depiction geared toward both children and adults alike. The single is currently played on dozens of radio stations and is being added to more every week. Jennifer Saran’s upcoming album is a contemporary mix of brand new originals penned by herself and Narada, many of which revolve around the central themes of love and family and positive messages. 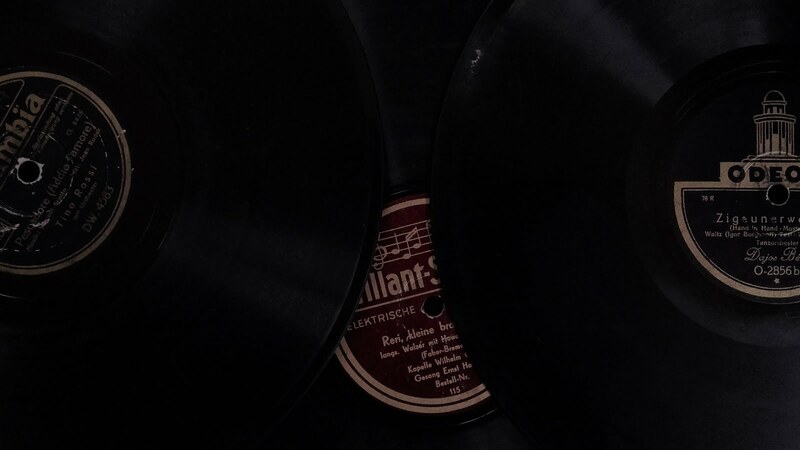 Musically the album spans ballads to up-tempo grooves, while also including some swing and gospel influences. Narada enlisted some amazing musicians and performers for his band on Walk With Me including: Frank Martin (Sting, Angela Bofil, John Handy Band, Tuck & Patti, Jose’ Neto, Airto & Flora, & Trudie’s Rainforest Band) on Keyboards, Angeline Saris (Ernest Ranglin, Zepparella) on Bass and Vocals, Matthew Charles Heulitt (Zigaboo Modaliste) and Jose’ Neto on Guitars. Additional Backing Vocals on this album include vocalists Nate Soul Sanger and Cornell Carter. All of the strings were arranged and conducted by Minna Choi of Magik*Magik Orchestra. Jennifer Saran, aka Jennifer Hill, was born in Washington DC to a Canadian mother and American father. It was at the local Episcopal Church while at school in Villars, Switzerland, where she first realized how much she loved to sing, performing Handel's Messiah a cappella. Jennifer went on to attend high school in Alexandria, Egypt, where she performed in school plays and learned to speak Arabic. She then attended The American University in Cairo, earning a Bachelors Degree in Political Science. Throughout her years growing up in Egypt she and her friends always followed the local Egyptian live bands that performed American and British pop music, dreaming one day of being a singer. She went through a long dry spell away from music – raising children, working in various corporate roles, singing in the shower or car, rarely having any time to go out dancing. She was moved to Philippines for an international corporate role for 2 years, followed by Singapore for another 2 years, and then to Hong Kong where she has lived for the past 24 years. Her new full-length album Walk With Me was recorded and produced entirely at Tarpan Studios in San Rafael, California, by legendary producer Narada Michael Walden and will be released in late April of 2016. Narada has produced music royalty like Whitney Houston, Mariah Carey and Aretha Franklin. With Narada’s music and Jennifer’s lyrics and vocals, they have created a tremendous debut album that is sure to captivate a worldwide audience. ‘Ready and Waiting’ by the brilliant RnB singer Becca B is a great new track with clear mainstream potential. Hinting at the style and music of artists like Jason Derulo or Rihanna, the singer from Nottinghamshire has clearly proven that she is on top of her game. 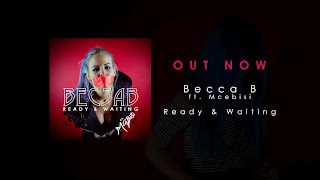 Becca B’s vocal maturity and heartfelt interpretation are underpinned by a clean production and a catchy melody. The song is additionally rounded up with a refreshing rap interlude by MceBisi. 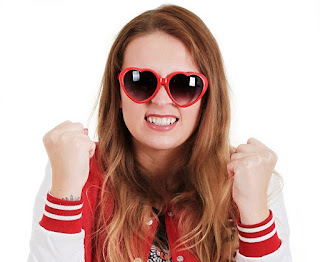 Becca B shows that the topic of innocent flirtations and the waiting process that comes with it are never really out date and always worth a good song. The single “Ready and Waiting” is out now! ‘Weary’ by the fantastic singer Jae Franklin is a song that everyone can relate to. It stresses the way that we can feel when we’re lost or unsure about what is to come. Underpinned by her amazingly clear and powerful voice, Franklin delivers a message of kindness and affection that is much needed in modern times. With a singing style that reminds of singers like Mariah Carey or Whitney Houston, the Dubai based musician is demonstrating an immense talent and a maturity that certainly makes her ready for the world’s big stages. ‘Weary’ is a track to put on repeat. ‘Weary’ is out on 26th March 2016. The single ‘If Your Heart Is There’ is out on 12th February 2016. 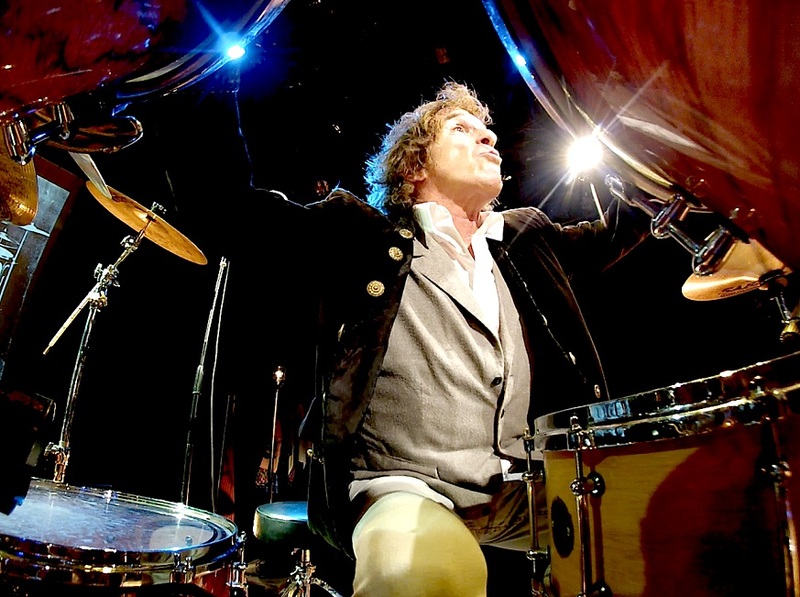 Drum Legend Corky Laing Is Back On The Road! NYC - The legendary drummer, Corky Laing, is back on the road with his first solo project since 1977. “Corky Laing plays Mountain” toured the UK in November 2015. Following an enthusiastic response from the UK audiences, he returns to Europe this spring. First up is a nine-day tour of Germany in February and in May he’ll be back in the UK. Corky is also locking in US dates starting with a package with Kofi Baker’s Cream Experience in Sag Harbor, NY in late February and with further dates for “Corky Laing plays Mountain” being scheduled for late May and early June. After Mountain stopped touring in 2010, Corky has been busy with his one-man show, “Best Seat in the House” and the critically acclaimed “Playing God: The Rock Opera”. The Rock Opera has been performed in Basel, Switzerland, in Helsinki, Finland and last year it made its American debut with a sold out show at the Kaye Playhouse in the heart of Manhattan. This year the opera returns to Finland where, in addition to shows, it will be filmed for a video release. Being back on the road with “Corky Laing plays Mountain” is a thrill for Corky. He loves playing the Mountain material the way it was originally written and says that behind the kit, in front of an audience, he feels like he is 18-year-old again. And from what the reviews say, the youthful enthusiasm is thoroughly reflected in the band’s sound and attitude. 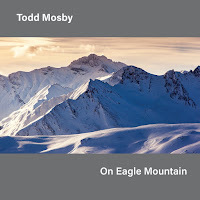 Todd Mosby has a new album out titled On Eagle Mountain. The focus track is "Spirit Dancer." The track is a wonderful combination of new age and jazz. It is a solid world crossover selection. 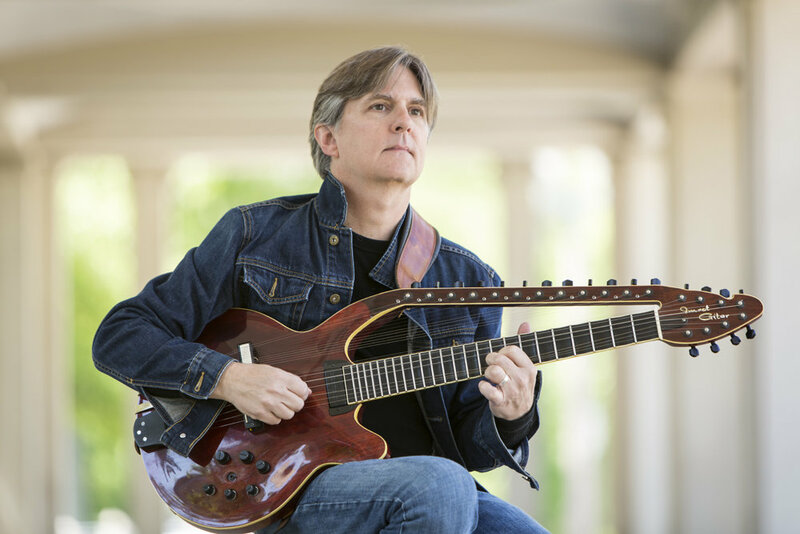 Mosby's guitar is inviting and the resident instrumentalist at Will Ackerman's Imaginary Road Studios join in to make the music complete. The artist refers to the group as the New Horizon Ensemble. The presence of Tony Levin on bass has always made a difference with any recording and this one is no exception. If you want to hear a combination of smooth jazz, new age and world music check out this track now! Todd Mosby is a guitarist, composer and improvisor who has mastered multiple musical forms; classical, jazz and Indian raga. This broad spectrum of musical knowledge enables the St. Louis native to create works that are both highly creative and intelligent. “Somehow he manages to synthesize these disparate elements into a singular musical voice that is unique in my experience…and “unique” is not a word I throw out easily or frequently.” - Will Ackerman, multi-grammy producer, founder Windham Hill Records. 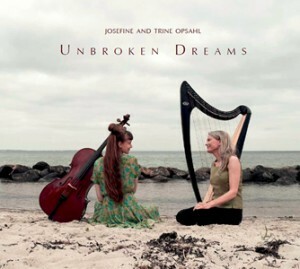 Josefine and Trine Opsahl have released a new recording titled Unbroken Dreams. The featured track and the focus is "Ladybirds and Butterflies." The music is instrumental but very colorful and moving. The Celtic harp and Cello combine for an excellent blend of classical and new age. Once you listen it will not be difficult to imagine the ladybirds and butterflies flitting about in your minds eye. This is as picturesque and elegant as music can get and the two ladies paint a beautiful picture with the sounds of their instruments. Trine just released a brand new album together with cellist Josefine Opsahl. Trine and Josefine Opsahl’s latest album, Unbroken Dreams is a string of 13 beautiful, melodic and uplifting pieces, all composed by Trine, with lively and innovative cello voices by Josefine. The music moves with references to Nordic-Celtic folk music between classical music and folk, between world and playful improvisation, resulting in a unique and contemporary expression. Josefine Opsahl studies cello at the Royal Danish Academy of Music in Copenhagen, Denmark. She is a versatile, classical cellist with a flair for folk music and avant-garde. She plays with the progressive folk band Kottos and is part of the groundbreaking sound collective We like We, who appeared at this year’s Roskilde Festival. Read more on her home page. Trine and Josefine are mother and daughter. The album has been recorded in the Concert Hall at the Royal Academy of Music in Copenhagen and mixed and mastered by Tonmeister Franziska Wackerhagen.